BELLE CHASSE, La. 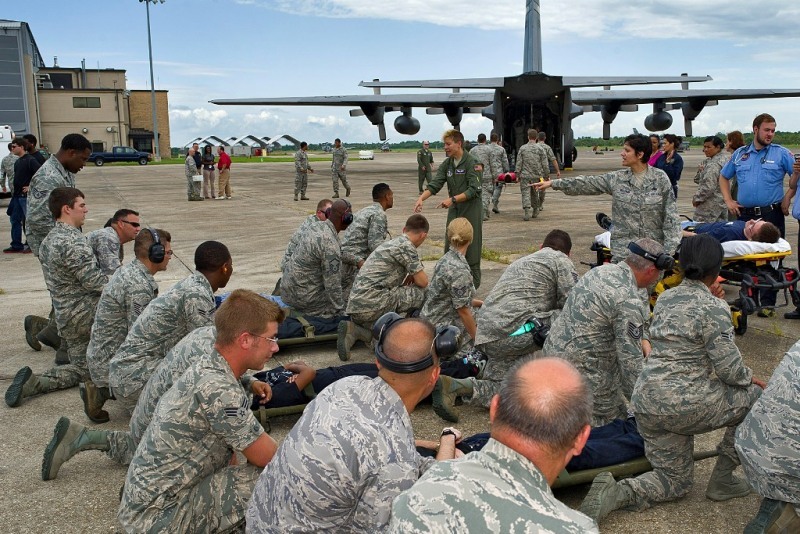 – The Louisiana Air National Guard’s 159th Fighter Wing conducted an aeromedical evacuation exercise at Naval Air Station Joint Reserve Base New Orleans in Belle Chasse, La., June 18. This exercise was a joint effort with federal, state and local resources to practice evacuating patients in the event a category 3-5 hurricane struck southeast Louisiana. 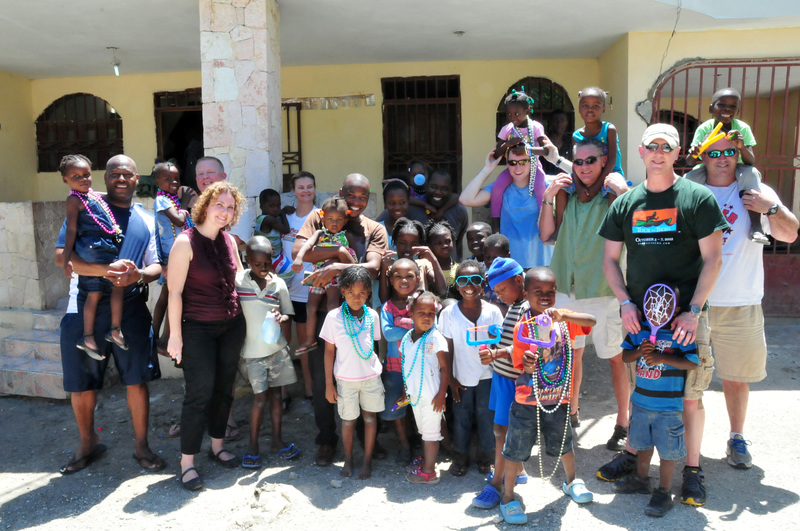 The participants included the 130th Airlift Wing and 167th Aeromedical Evacuation Squadron, both from the West Virginia Air National Guard; as well as the Louisiana Department of Health and Hospitals and the Care Ambulance Service. The patient population of Louisiana is concentrated near New Orleans and with most of the population evacuating toward central and north Louisiana, hospitals can get quickly inundated with evacuees. 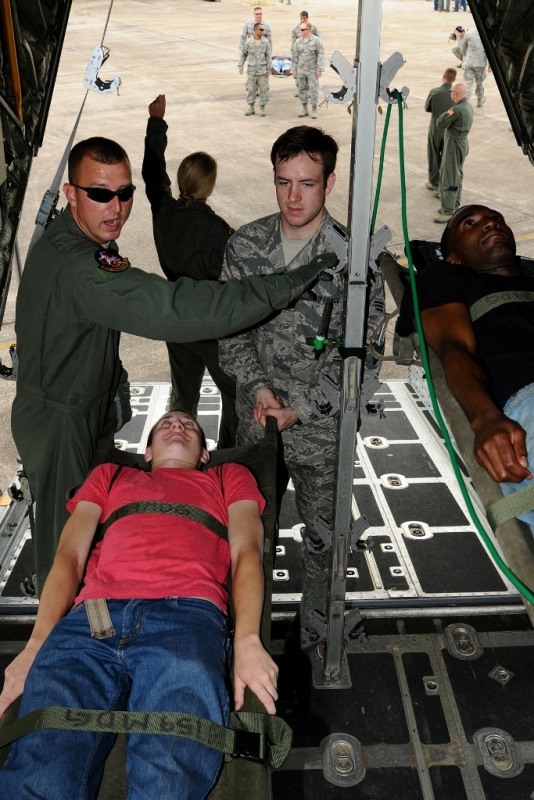 Louisiana, together with the Federal Emergency Management Agency, United States Northern Command, Louisiana National Guard and U.S. Transportation Command have been developing a plan to aeromedically evacuate more than 1,000 patients to other states. 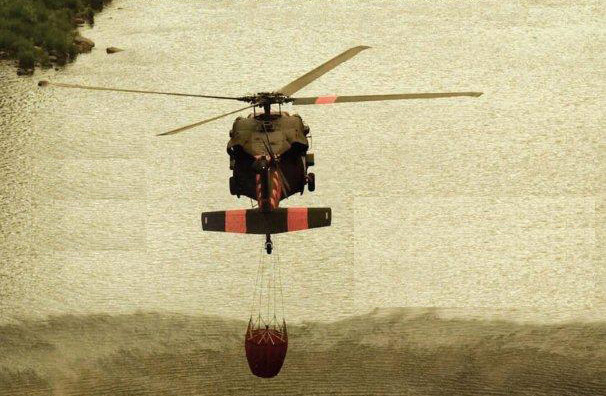 “Many states have National Guard aeromedical evacuation teams as well as C-130s and other transport aircraft,” said Sostarics. 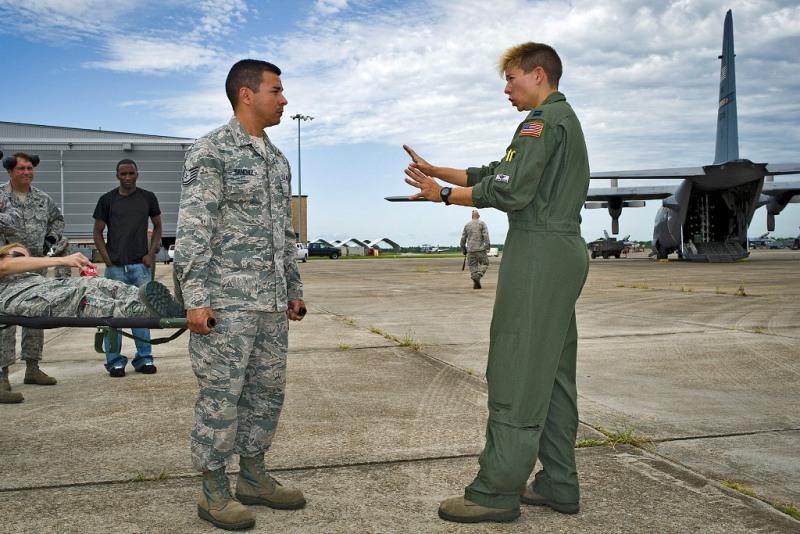 “It is common for other states to come to the aid of another and, having the West Virginia Air National Guard come to Louisiana for this joint exercise is just one such example”. “We are a big Guard family, and we stick together,” said Maj. Trina Young, Flight Nurse with the 167th Aeromedical Evacuation Squadron.